M&P can make custom Acetal Machined Parts to your specifications or drawings. 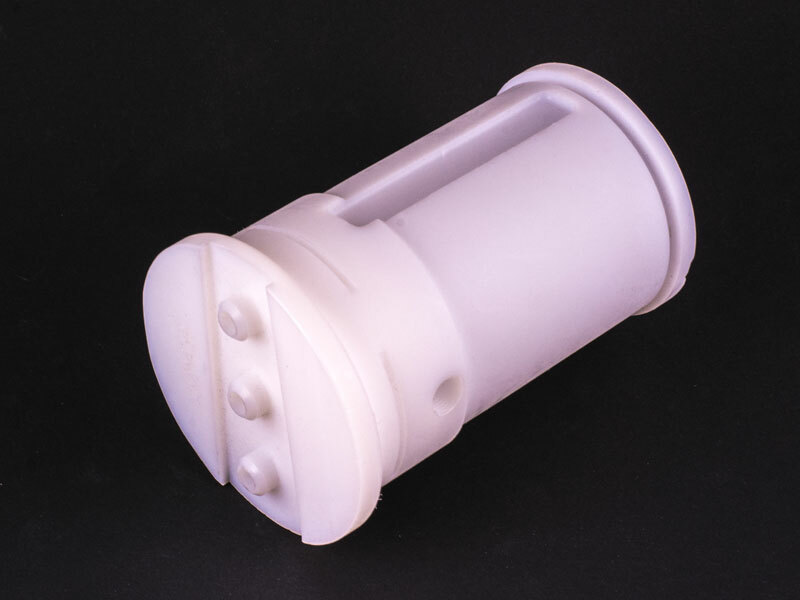 We have a plastic machine shop; Acetal is one of the plastics we can use to make parts. This copolymer grade offers excellent performance at a slightly lower cost than Delrin®. Acetal copolymer may exhibit centerline porosity, but porosity-free material is available. Certain grades are FDA, USDA, NSF, Canada AG, and 3-A Dairy compliant. Low stress levels and high strength assure flatness and dimensional stability up to a maximum continuous service temperature of 180°F. Acetal Machined Parts are made in a completely controlled environment. Acetal O-rings, Acetal Seats, Acetal Bushings, Acetal Bearings, Acetal Guide Blocks, Acetal Wear Pads, Acetal Washers. M&P keeps Acetal material in stock so that we are ready for immediate production of your Acetal Machined Parts.